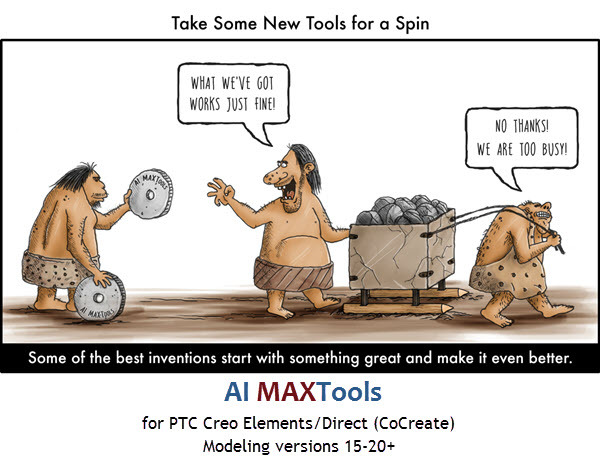 Who is AI MAXTools™, and what can we do for you? Many of our products add totally new functionality enabling new work/design methods and processes that significantly increase efficiency. Reduced design time = shorter design cycles = faster time to market! The result: higher quality designs and happier designers! Try it for yourself with a FREE trial of our products! Our experience as users allows us to address issues from our customers' (i.e. YOUR) perspective – we know how you feel because we’ve been there! Our organization is big enough to get the job done right, but small enough to be extremely responsive to our customers. All of these factors enable us to help you accelerate completion of your designs. Innovative solutions beyond your wildest dreams -- that's what AI MAXTools delivers with our portfolio of productivity solutions. We would love the opportunity to work with you! Please Contact Us for more information!